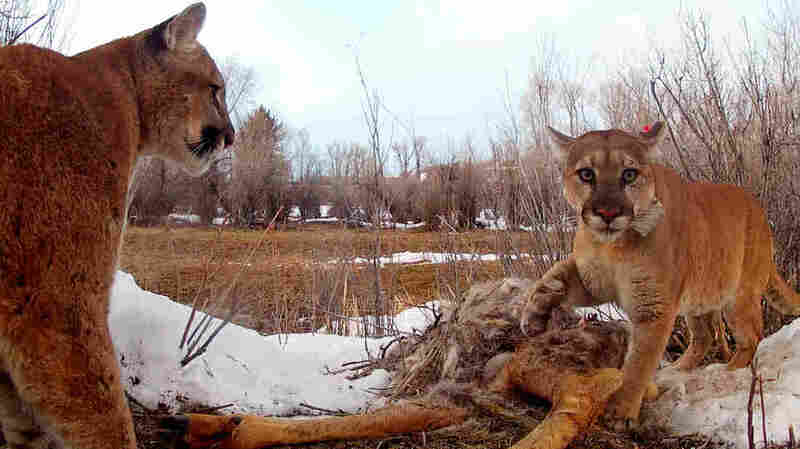 Pumas Are Not Such Loners After All : The Two-Way Researchers are startled to find that pumas, also called mountain lions, meet up quite frequently with their fellow big cats — perhaps to share an elk carcass. Adult female with young male coming in (without collar) to her kill. Mother and daughter pumas show affection.